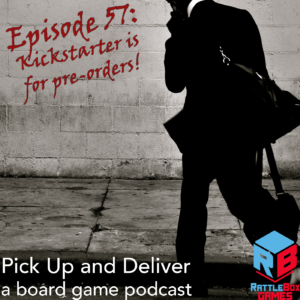 Pick Up and Deliver podcast, 057: Kickstarter is for pre-orders! Brendan continues his discussion of Kickstarter, this time exploring the idea that the popular crowdfunding platform is for pre-orders from established companies. What do you think Kickstarter is for? What are your experiences with big or small kickstarter games?